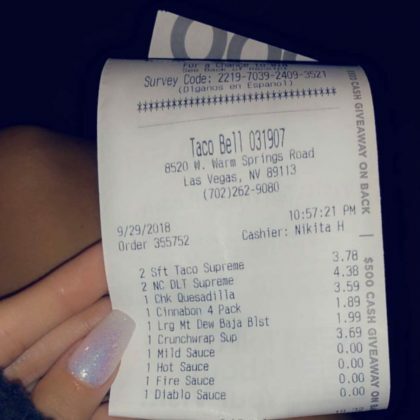 Pia Mia showed off her laundry list of a receipt from Las Vegas, NV, USA’s Taco Bell, 8520 W. Warm Springs Road when she went for a to-go run in September 2018. 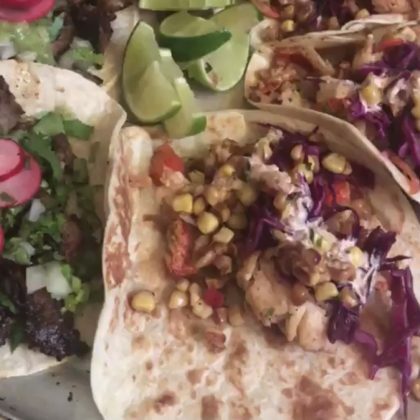 Bethenny Frankel teased she was “Eating Light” at Greenport, NY, USA’s Lucharitos Mexican restaurant in September 2018. 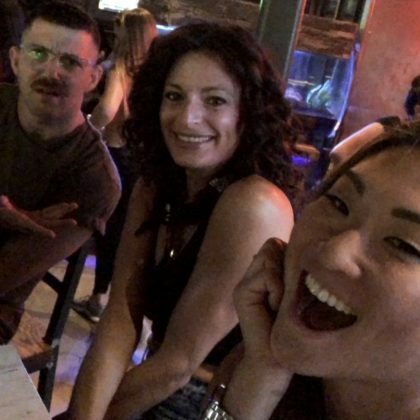 Jenna Ushkowitz and friends were getting “@jlo ready” at Las Vegas, NV, USA’s Nacho Daddy Mexican restaurant in September 2018. 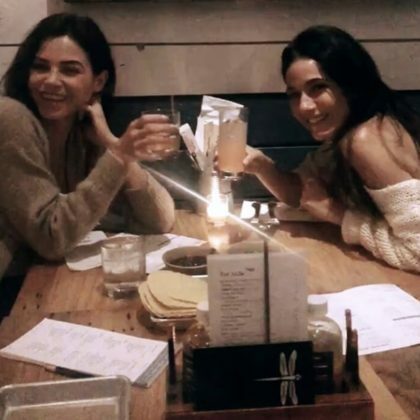 Jenna Dewan did a friend “Date night in ATL with” Emmanuelle Chriqui at Atlanta, GA, USA’s bartaco, atlanta / west midtown in August 2018. 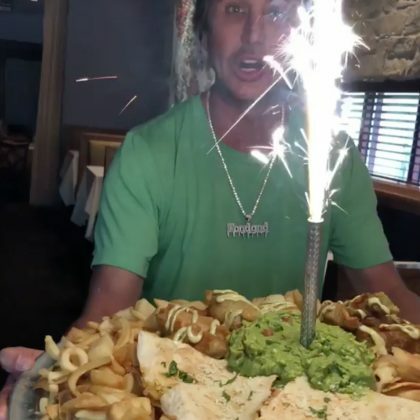 Jonathan Cheban tried an “Insane Nacho Pizza” platter at Winter Park, FL, USA’s Cinco Tacos + Tequila Mexican restaurant in August 2018. 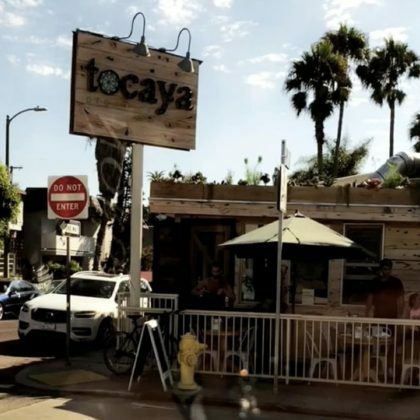 Becky G passed by Los Angeles, CA, USA’s Tocaya Organica, Venice in August 2018. 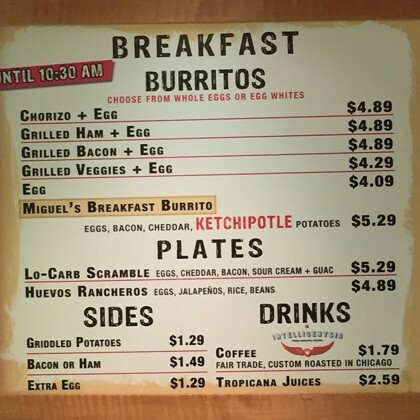 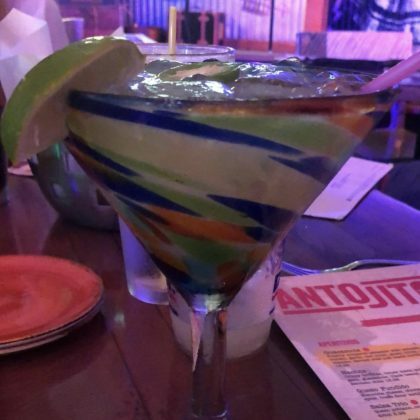 “Ok…I’ll do it…” is what Bethenny Frankel said about the drink she ordered at Orlando, FL, USA’s Antojitos in August 2018. 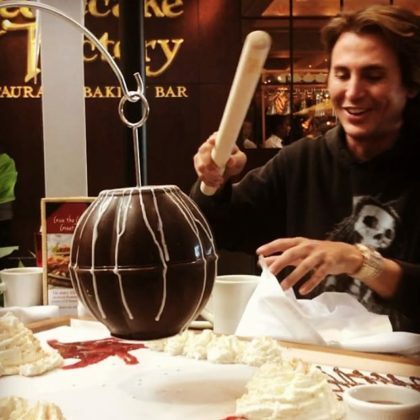 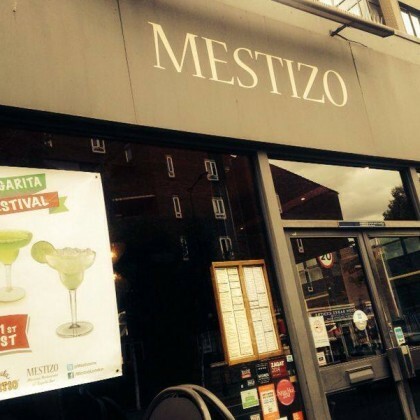 Jonathan Cheban ordered guacamole when he ate at Rockville Centre, NY, USA’s Mesita in July 2018. 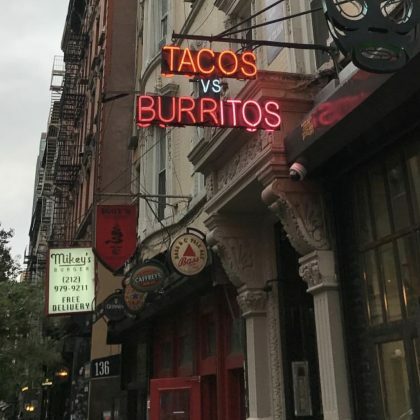 Bethenny Frankel enjoyed some “vegan” Mexican food from New York City, NY, USA’s Bar Verde in July 2018. 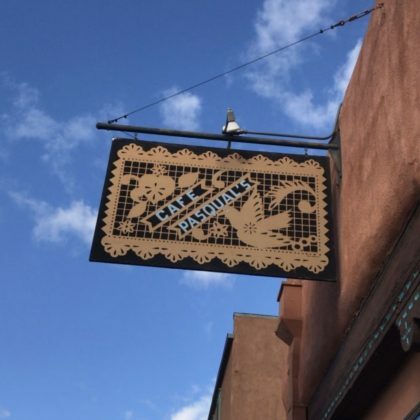 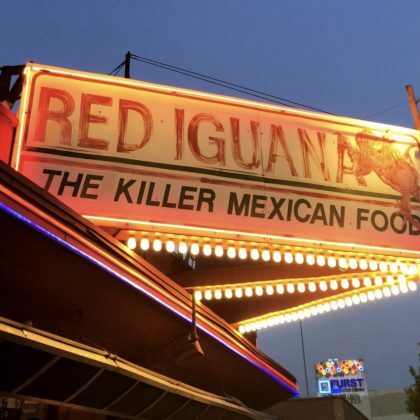 “If you know you know” is what Kacey Musgraves said when she was at Salt Lake City, UT, USA’s Red Iguana Mexican restaurant in July 2018. 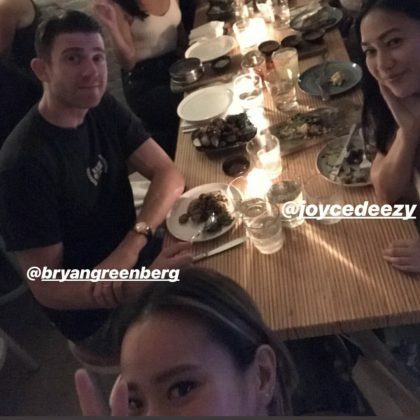 Jamie Chung met her “Brooklyn fam” — including Bryan Greenberg — for a meal at New York City, NY, USA’s Alta Calidad Mexican restaurant in June 2018. 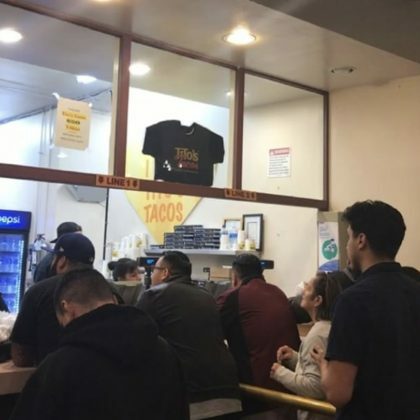 “Letsssss goooooo” is what Ayesha Curry said when she, Steph Curry, and their family celebrated the Warriors’ championship parade by eating at Oakland, CA, USA’s Taqueria Sinaloa in June 2018. 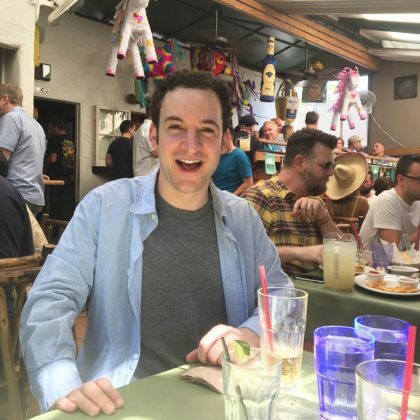 Ben Savage wished everyone a “Happy Cinco de Mayo” in May 2018 from his table at West Hollywood, CA, USA’s Marix, West Hollywood Mexican restaurant. 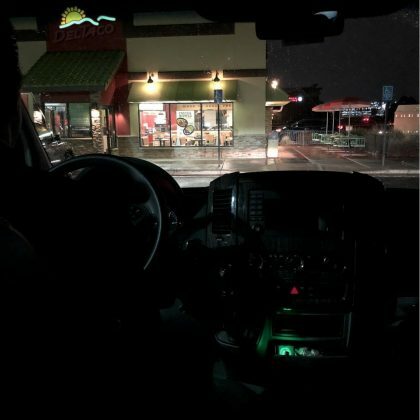 Del Taco, 11155 East Arapahoe Rd. 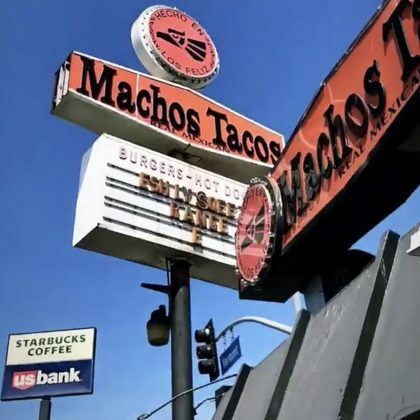 Snoop Dogg was checked into the Del Taco, 11155 East Arapahoe Rd. 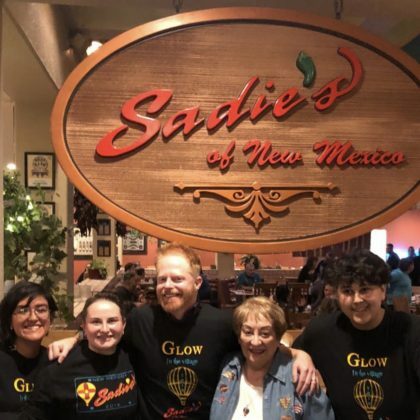 in Englewood, CO, USA in April 2018. 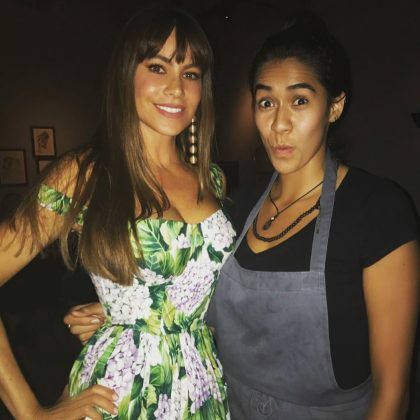 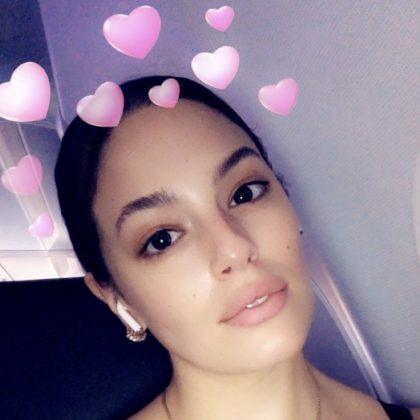 Ashley Graham checked into Pink Taco, Los Angeles in April 2018. 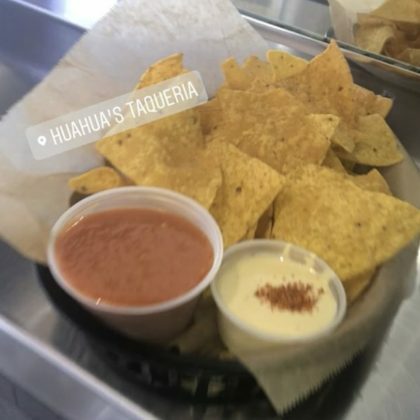 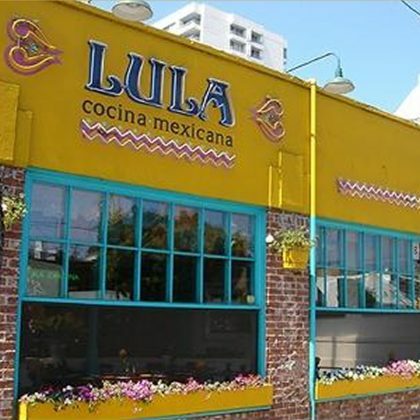 Jonathan Cheban had a side of chips and salsa when he ate at Miami Beach, FL, USA’s Huahua’s Taqueria in April 2018. 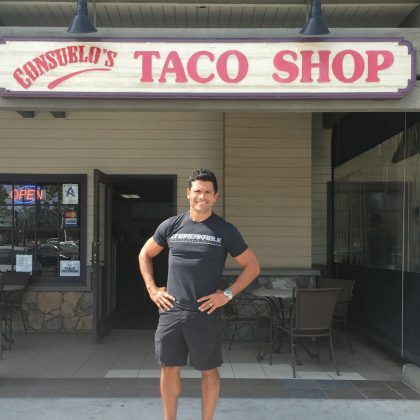 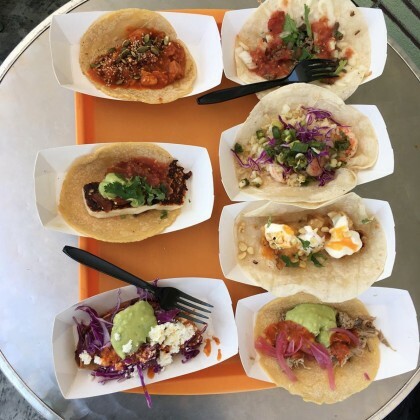 Ali Larter ordered “Tacos!” and “Cucumber and mango agua frescos” when she ate at Los Angeles, CA, USA’s Sonoratown in April 2018. 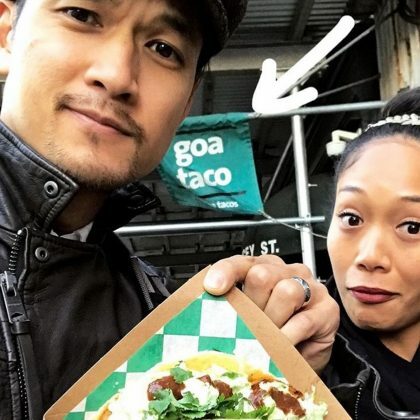 Jenna Ushkowitz checked into New York City, NY, USA’s Rosa Mexicano, Lincoln Center in March 2018. 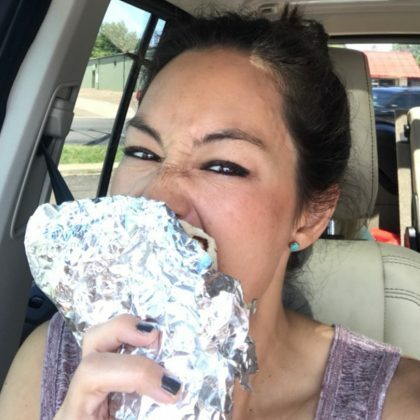 Catherine Giudici ate at Dallas, TX, USA’s Matt’s Rancho Martinez, Lakewood Mexican restaurant in March 2018. 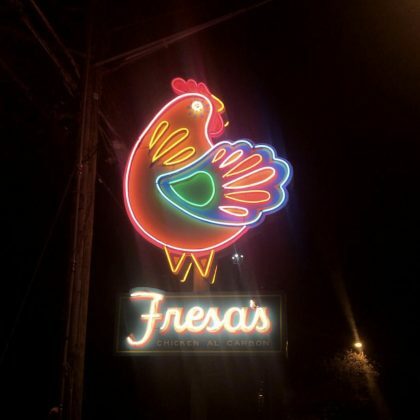 Dakota Fanning dropped by Fresa’s, South First in Austin, TX, USA in March 2018. 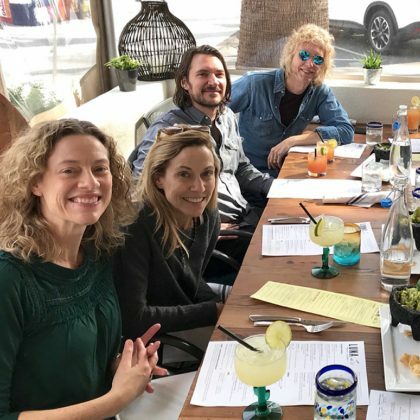 Sheryl Crow enjoyed a margarita during an “Awesome birthday lunch” in February 2018 with her “spectacular, beautiful, love bandmates” at San Jose, CA, USA’s Luna Mexican Kitchen. 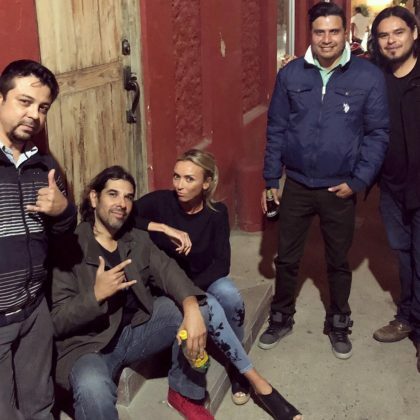 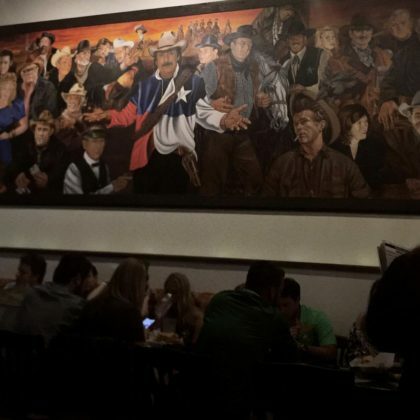 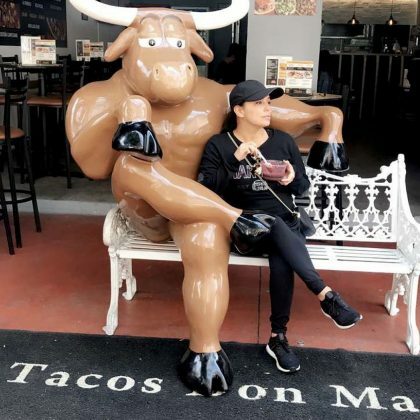 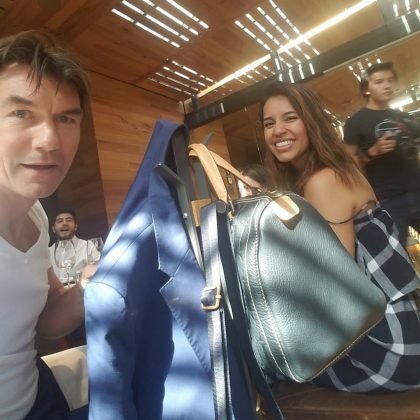 Eva Longoria was “Just chillin'” on a bench beside a bull statue outside the Mexico City, Mexico Tacos Don Manolito, Polanco restaurant in February 2018. 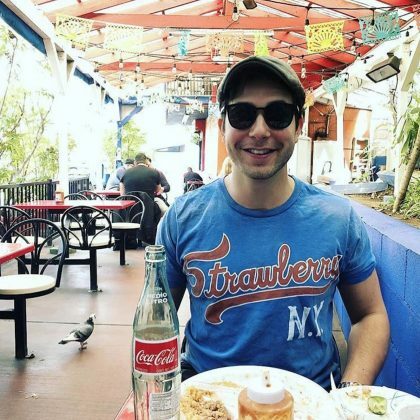 Skylar Astin sipped on a bottled Coca-Cola during his February 2018 meal at Tacos Delta. 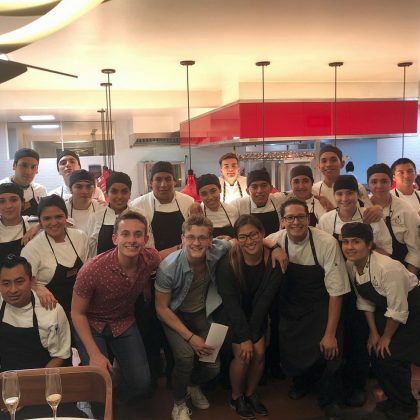 Jenna Ushkowitz thanked Quintana Roo, Mexico’s Le Chique restaurant in January 2018 for having her and her friends. 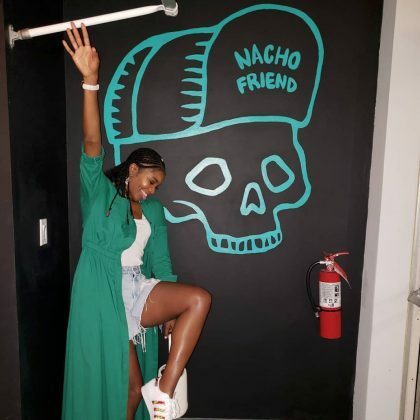 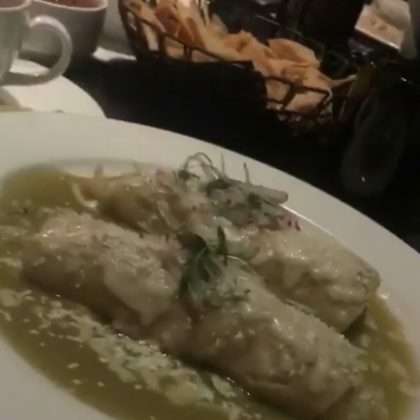 Ashanti ordered enchiladas when she ate at Javier’s, Century City in January 2018. 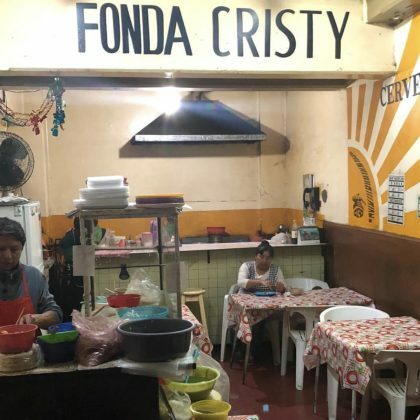 Lily Allen stopped by Fonda Cristy when she was in Mexico City in January 2018. 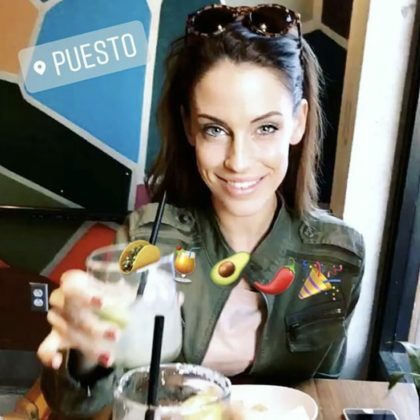 Jessica Lowndes ordered a drink to go with her tacos, chips, and guacamole when she ate at Puesto, San Diego in December 2017. 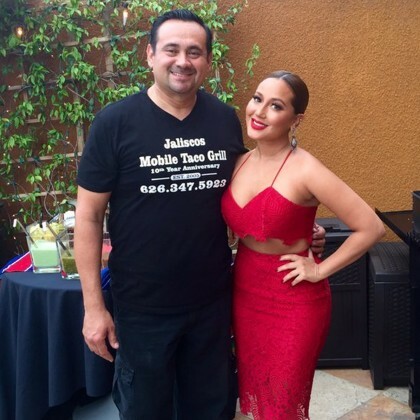 Adrienne Bailon ate at Petite Taqueria in December 2017. 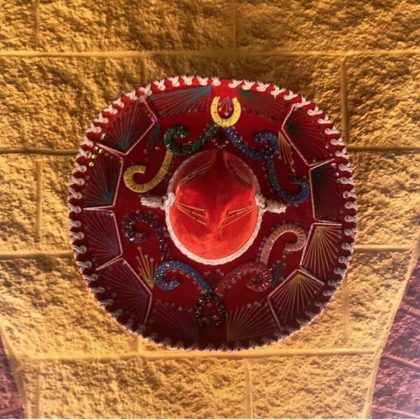 A sombrero-wearing Coco said in November 2017 that she and friends and family “Ended our night stuffing ourselves at our new favorite Mexican restaurant” — Cinco De Mayo Mexican Grill. 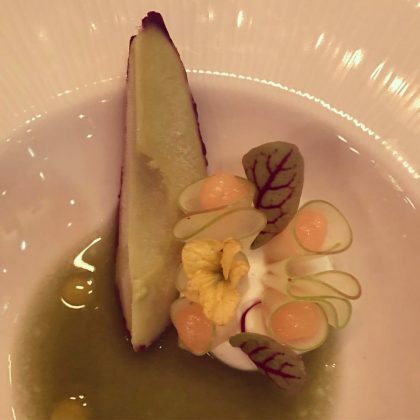 “Is it an avocado slice OR is it a delightful slice of avocado ice cream complete with chocolate skin?? 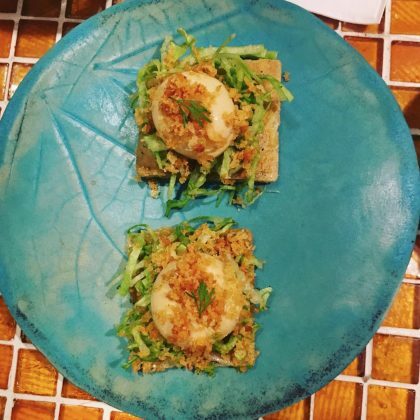 Had an amazing dinner at Cocina de Autor in @grandvelascabos” is what Cobie Smulders said when she ate here in November 2017. 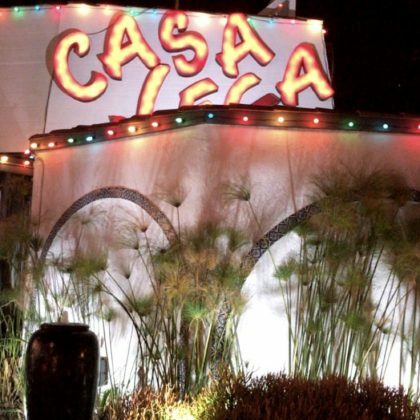 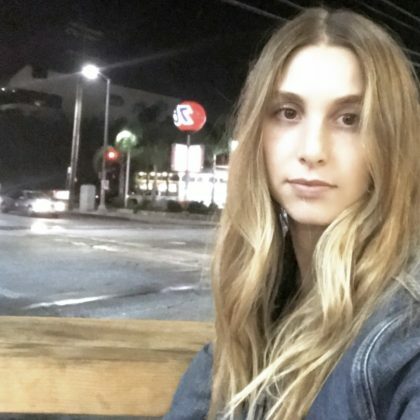 “Casa Vega here we come” is what Whitney Port said when she ate here in November 2017. 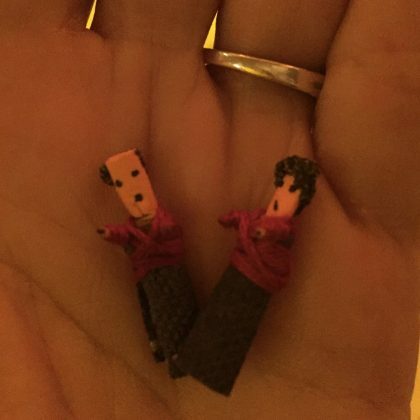 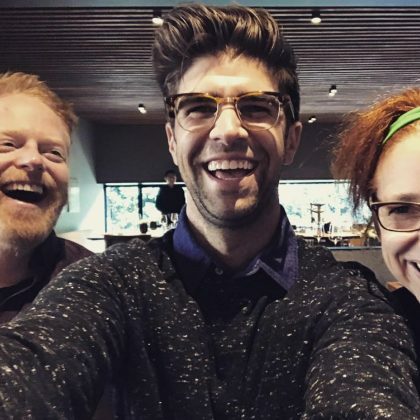 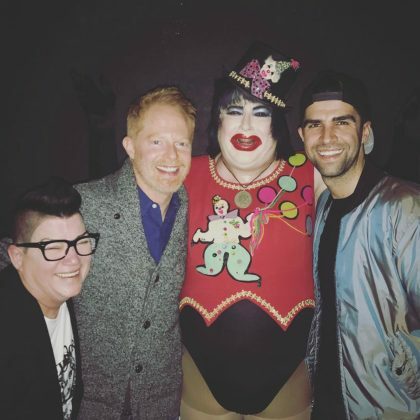 Jesse Tyler Ferguson was “Off to breakfast” at Café Pasqual’s with Justin Mikita in November 2017. 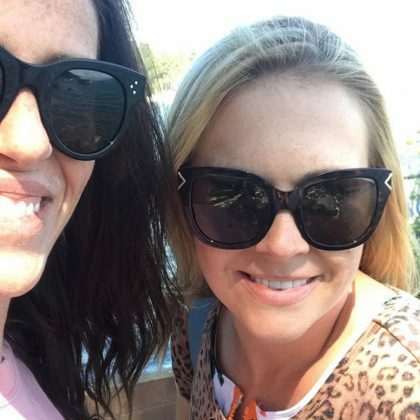 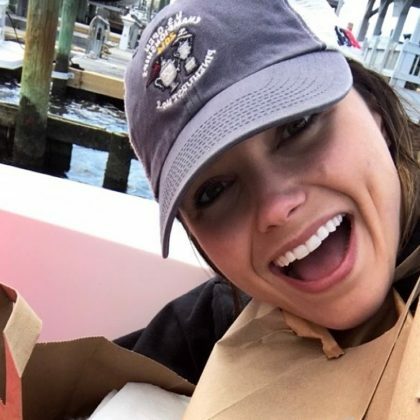 JoJo Fletcher met up with a friend here in October 2017. 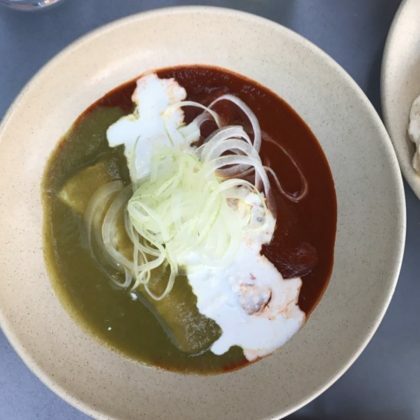 Scout Willis “Made it” to Tacombi, Nolita in September 2017. 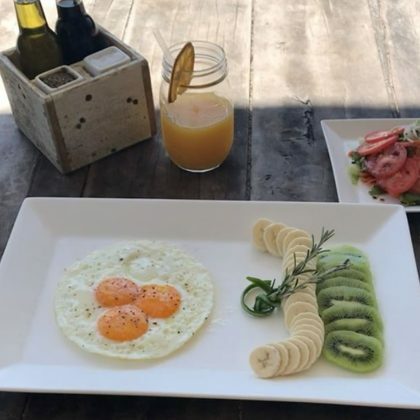 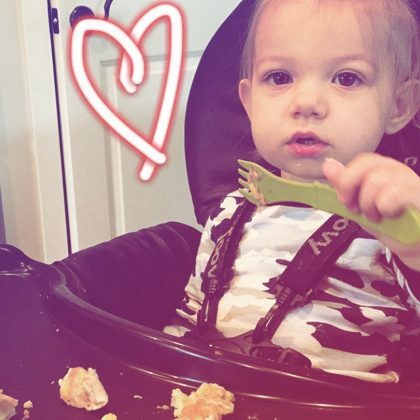 Over-easy eggs, fruit, and juice were what Rumer Willis was snacking on at Posada Margherita in September 2017. 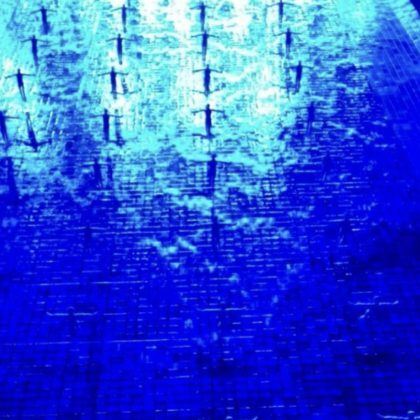 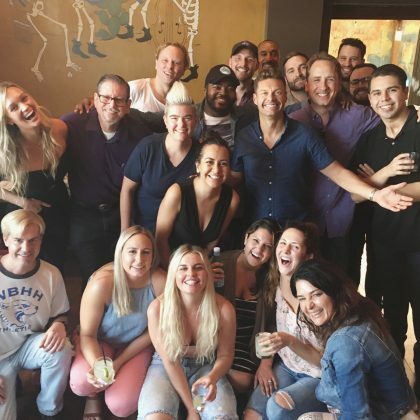 Ryan Seacrest was with his radio crew in August 2017 “Celebrating the best day of the week . 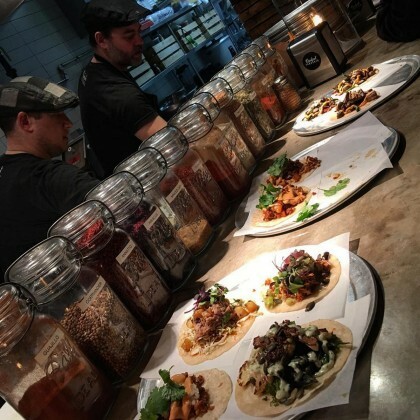 . . #tacotuesday” at Ceremony Bar. 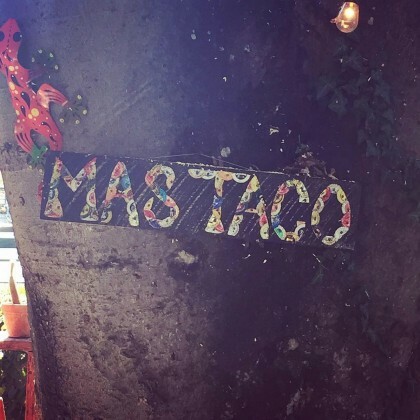 Melanie C spent a Taco Tuesday in August 2017 having some “Amazing food and drinks at one of my favourite spots above Kentish Town tube station” — Wahaca, Kentish Town. 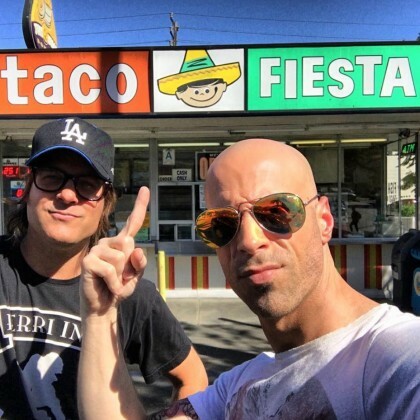 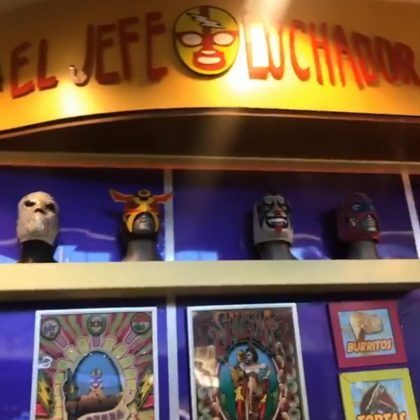 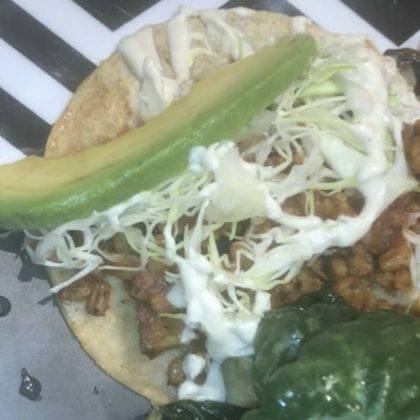 Jonathan Cheban called out the “hamburger taco” when he went to El Jefe Luchador in August 2017. 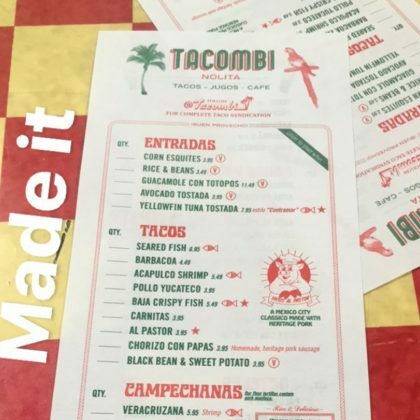 Spencer Pratt ordered a tray of tacos from Tacos Por Favor, Santa Monica in August 2017. 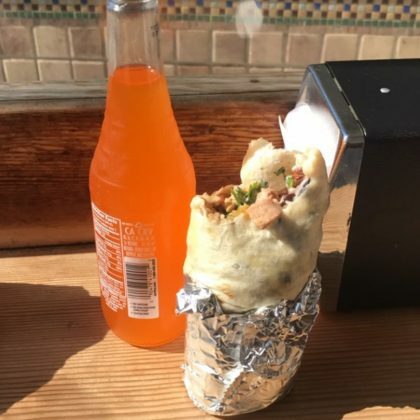 G-Eazy told GALUXSEE that Gordo Taqueria is the spot he has to hit up when he’s home in the Bay Area and that he likes to get a grilled chicken burrito ($5.75-$6.65) — in July 2017, he did just that. 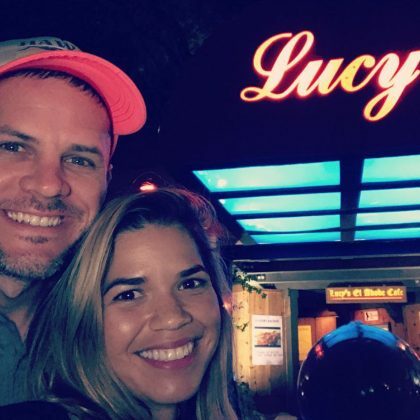 In July 2017, America Ferrera said she and her man had an “Impromptu dinner where we first met 12 years ago” — the sentimental spot was Lucy’s El Adobe Cafe. 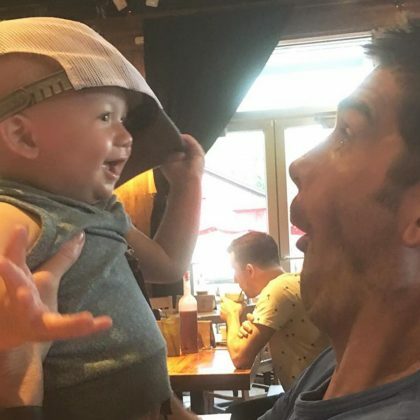 Jordana Brewster had some fun with her youngest son at their table at Guero’s Taco Bar in July 2017. 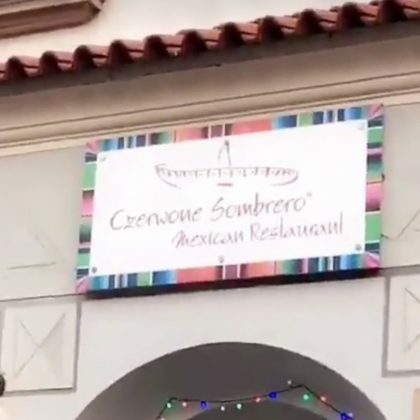 JoJo Fletcher hung at José with a her “numero uno” friend in July 2017. 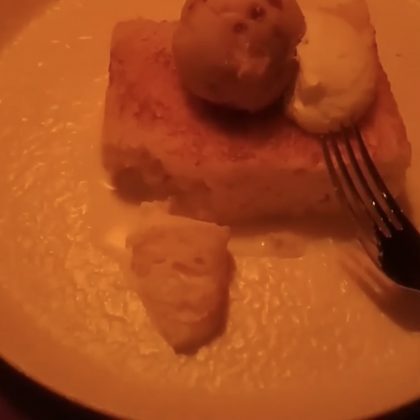 Spencer Pratt ate at Tallula’s in July 2017. 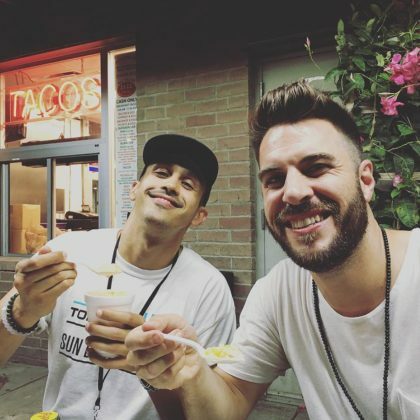 Casper Smart came by Cactus Taquerias #1 on a July 2017 night. 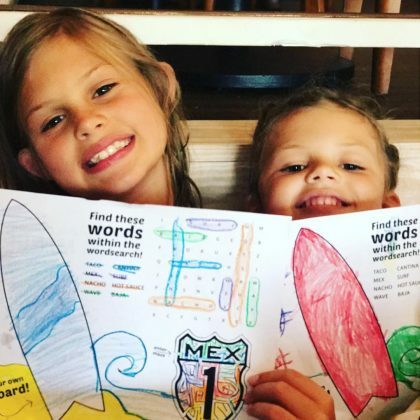 Busy Philipps and “These little chicken nuggets” — her adorable daughters — ate at Mex 1 Coastal Cantina, Charleston in July 2017. 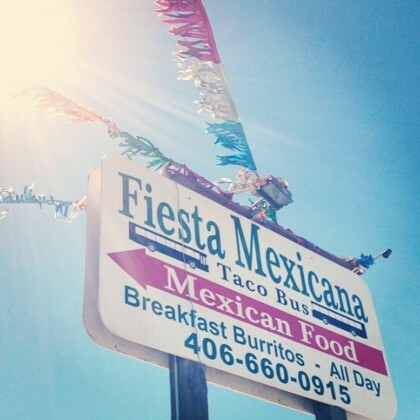 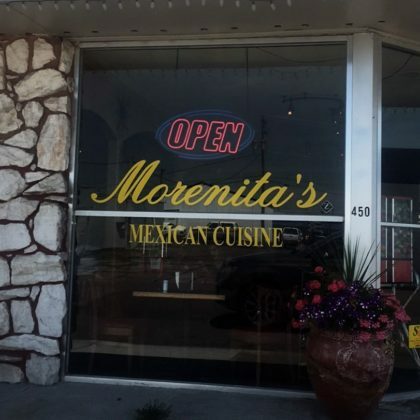 Kate Bosworth called Morenita’s the “BEST AUTHENTIC MEXICAN IN IDAHO” after eating here in July 2017. 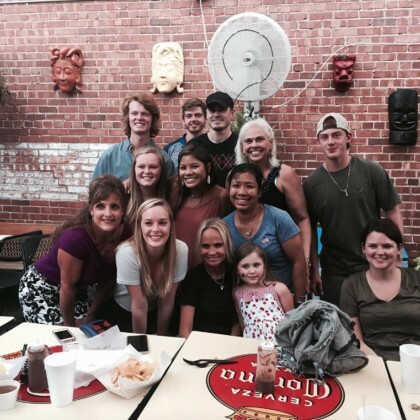 Catherine Giudici and son Samuel Lowe met up with a friend for some food at Yucatan Taco Stand Tequila Bar & Grill, Lower Greenville in July 2017. 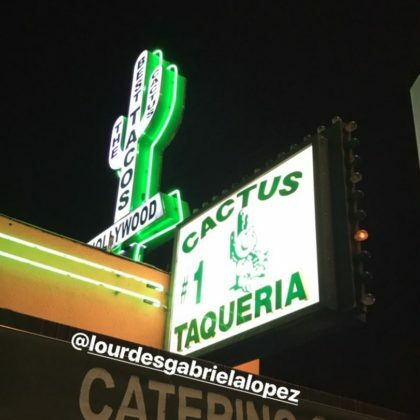 Joe Jonas dropped by El Coyote Cafe in June 2017. 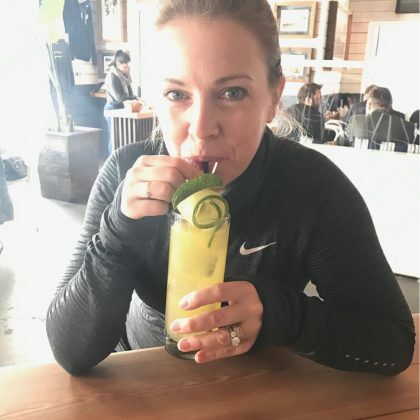 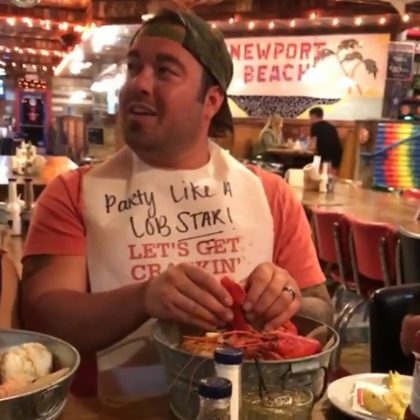 Kendra Wilkinson-Baskett ordered guacamole and chips when she did “Lunch with my dad and Amy” at Tacos & Beer in June 2017. 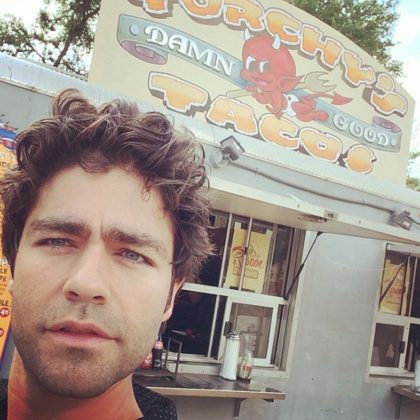 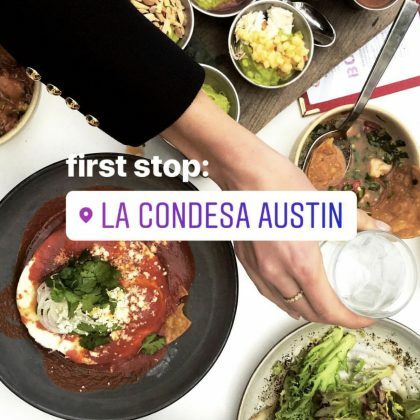 “When in Austin” is what Karlie Kloss said when she ate a taco at Torchy’s Tacos, Spicewood in June 2017. 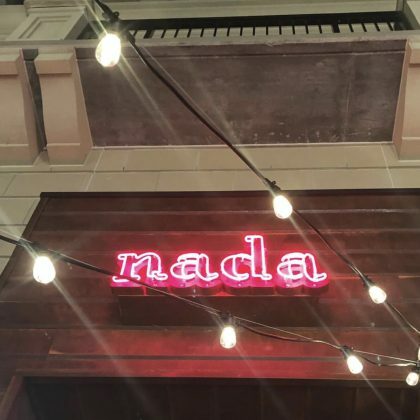 Natasha Bedingfield﻿ declared, “Philly has ot some nice places,” after passing by Distrito, Philadelphia and other eateries in the area in June 2017. 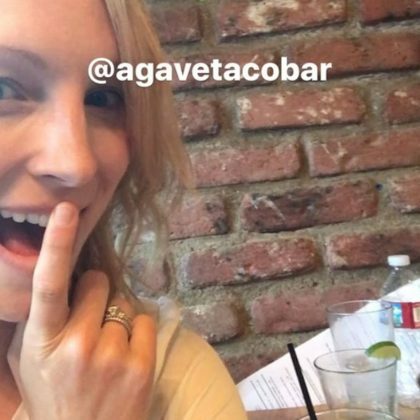 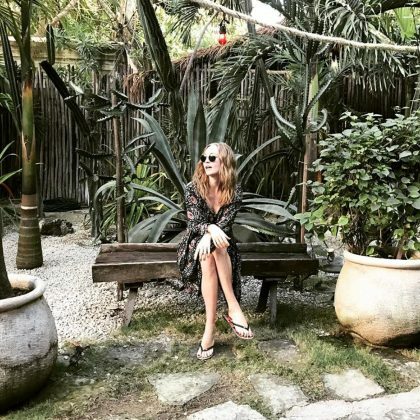 “When the summer rain comes full force so you have to order another margarita” is what Candice Accola said when she was at Agave Taco Bar in May 2017. 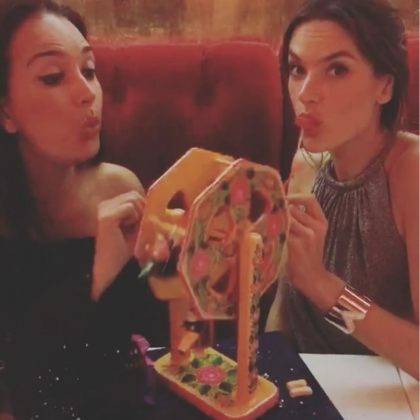 Alessandra Ambrosio had “good times” with “Good friends” while sharing a ferris wheel-shaped platter of desserts at Dulce Patria in May 2017. 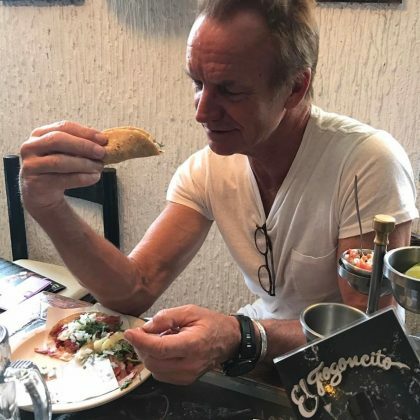 Sting﻿ “got the chance to walk around Mexico City, take in the lovely ambience and enjoy some delicious tacos al pastor” at El Fogoncito in May 2017. 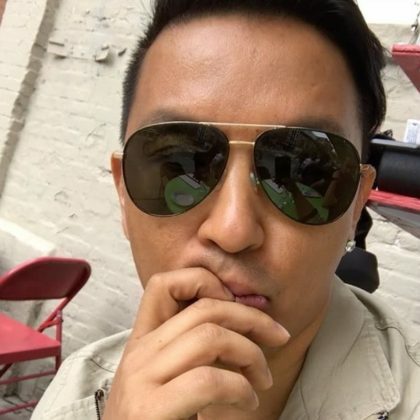 Designer ﻿Prabal Gurung﻿ went for some “Mexican at la sequin” — including an order of chips, salsa, and guacamole — in May 2017. 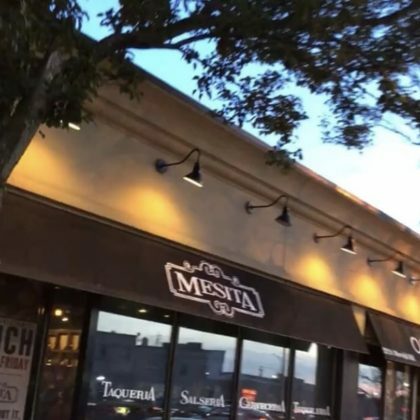 Shannen Doherty﻿ was outside Sharky’s Woodfired Mexican Grill, Camarillo with “Mi familia” in May 2017. 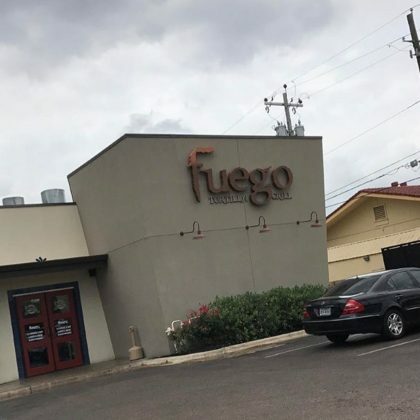 “This place” is what Rico Rodriguez said when he was at Fuego Tortilla Grill, College Station in May 2017. 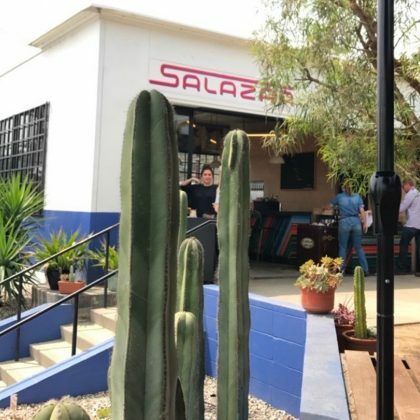 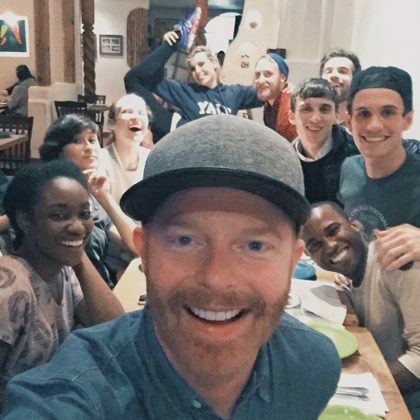 Jesse Tyler Ferguson﻿ checked in at Salazar in May 2017. 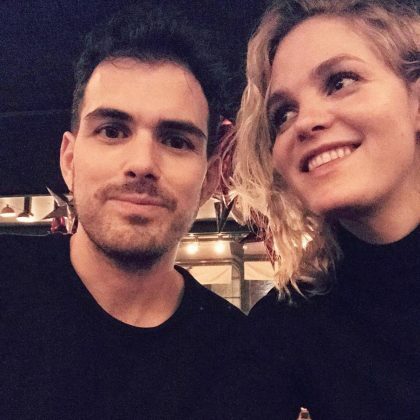 “We did it! 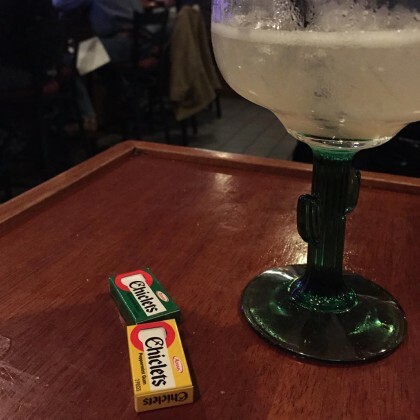 We’re in a bar drinking margs! 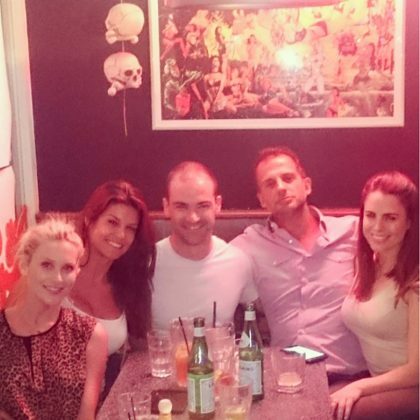 We are so retro!! 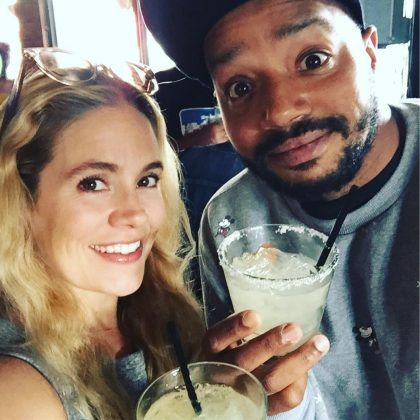 !” is what Cacee Cobb said when she and Donald Faison “did a tequila tasting” at Te’Kila during a “#parentsnightout” on Cinco de Mayo in May 2017. 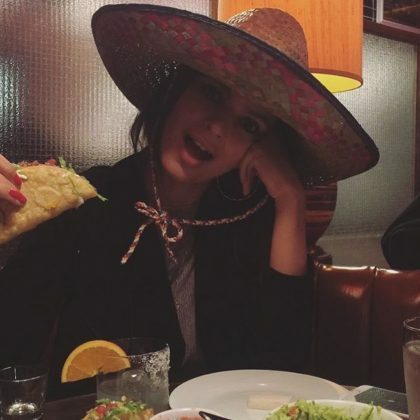 Emily Ratajkowski﻿ ordered tacos and guacamole while celebrating Cinco de Mayo at El Toro Blanco in May 2017. 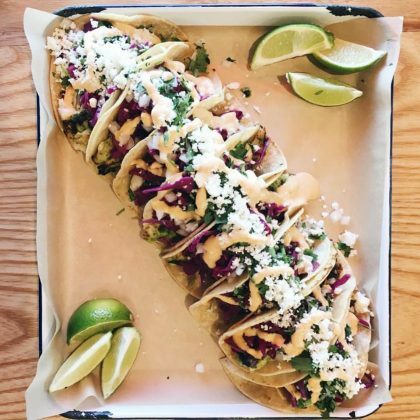 “I love Tuesdays!” is what Tiffani Thiessen said when she ate here on a “#tacotuesday” in April 2017. 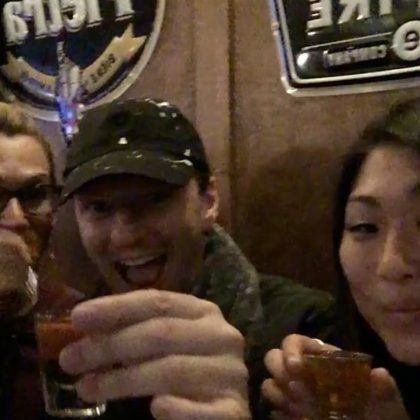 “Hello, Again — whiskey pickle backs” is what Jenna Ushkowitz said when she did a shot with friends at Tacuba, Hell’s Kitchen in April 2017. 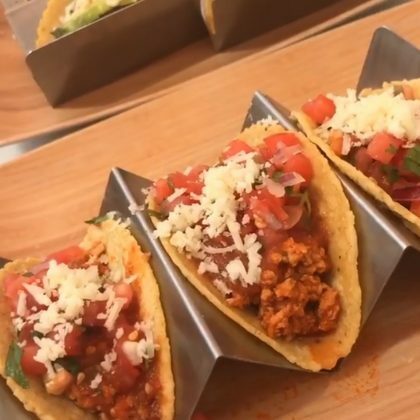 Jonathan Cheban tried a variety of tacos when he ate at Tocaya Organica, South Beach / Miami in March 2017. 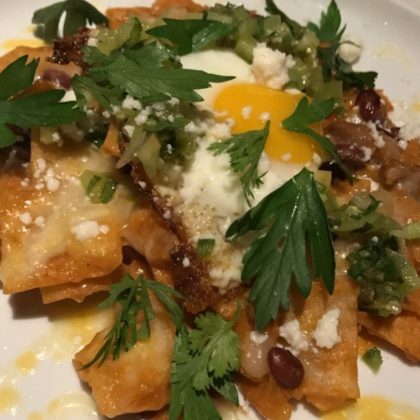 “It’s so easy being green” is what a green dress-wearing Jessica Chastain said while checked in at Gracias Madre, West Hollywood in March 2017. 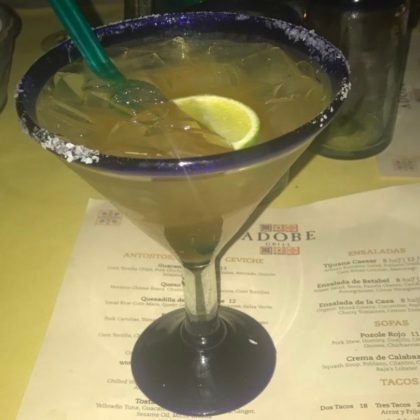 Katharine McPhee﻿ enjoyed a margarita while perusing the menu at Adobe Grill in March 2017. 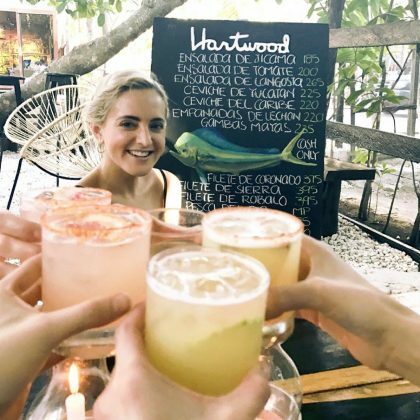 Candice Accola﻿ participated in “A spicy Salud” during a friend’s bachelorette bash at Hartwood in February 2017. 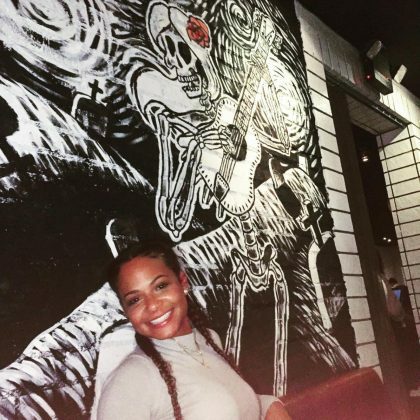 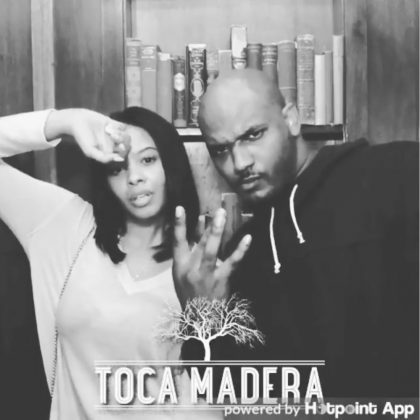 “Down to Ride till the Very End” is what Vanessa Simmons captioned her photo booth picture here in February 2017. 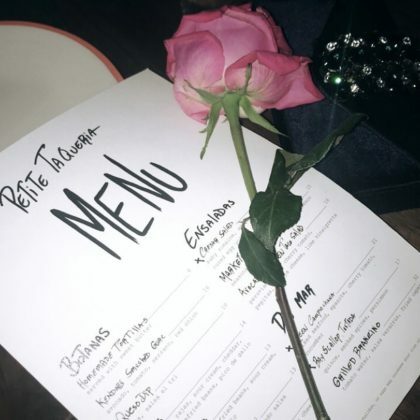 Erin Heatherton ate at Rosie’s in February 2017. 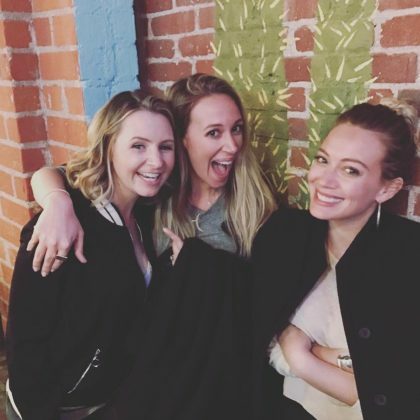 Hilary Duff﻿ celebrated sister ﻿Haylie Duff﻿’s 32nd birthday at El Tejano along with ﻿Beverley Mitchell﻿, who said she had “So much fun celebrating my girl” during “an awesome night” in February 2017. 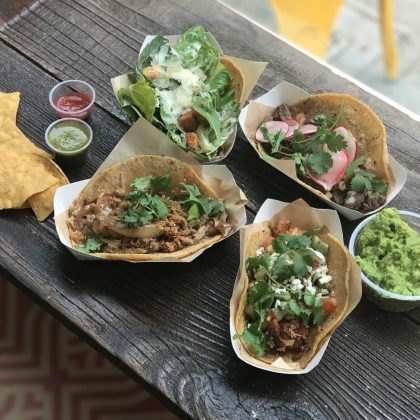 Catherine Giudici﻿ was “Really wishing for some of them” Taco Heads tacos in January 2017 after the restaurant catered her stationary company’s first anniversary party earlier in the month. 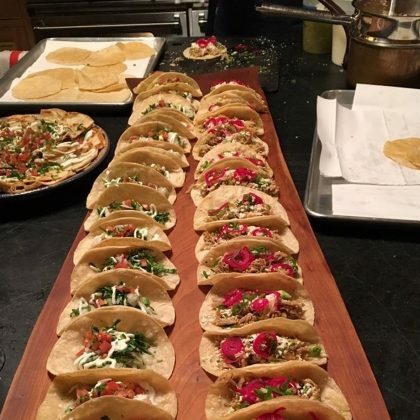 For her Golden Globe Awards party in January 2017, Uma Thurman offered food from The Daisy as part of her appetizing spread. 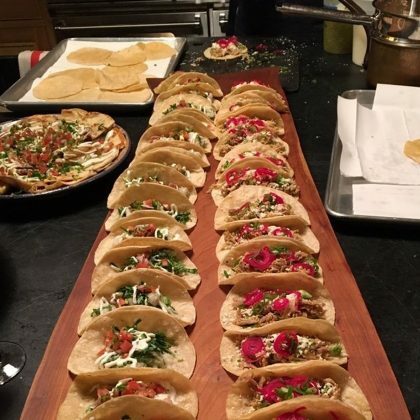 Uma Thurman﻿ ordered food from Agave for her very own Golden Globe Awards party in January 2017. 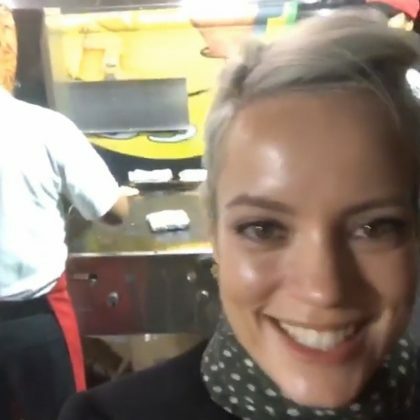 Lily Allen﻿ went on a “#TACOHUNT” and ate at Leo’s Tacos Truck twice in December 2016. 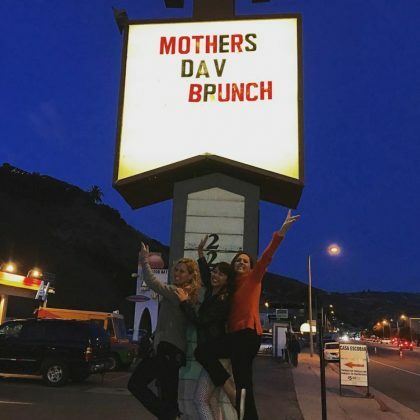 Soleil Moon Frye﻿ did “Sunday brunch” here in December 2016. 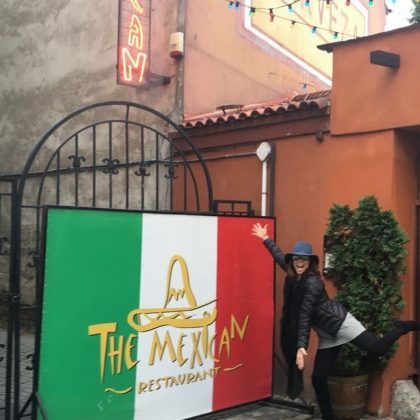 Eva Longoria﻿ looked excited to pass by The Mexican when she was in Poznań in October 2016. 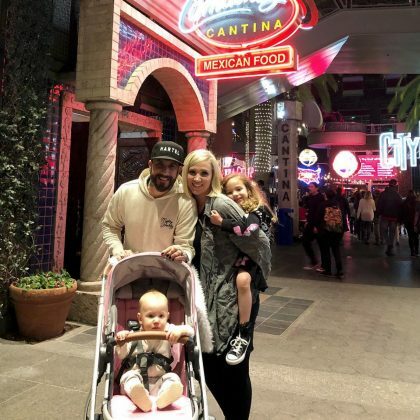 Julianne Hough﻿ had the “Coolest freakin dinner experience ever” at Cantina La Veinte in October 2016 — dessert included funnel cake and cotton candy. 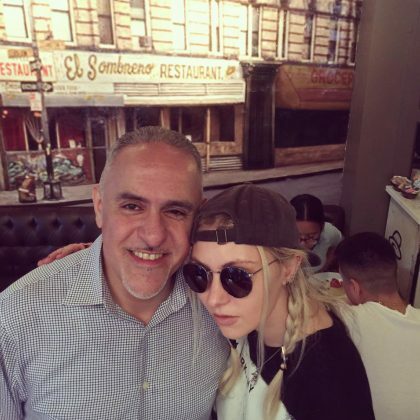 Taylor Momsen ﻿was “having the one and only frozen mojito in NYC” at El Sombrero in September 2016. 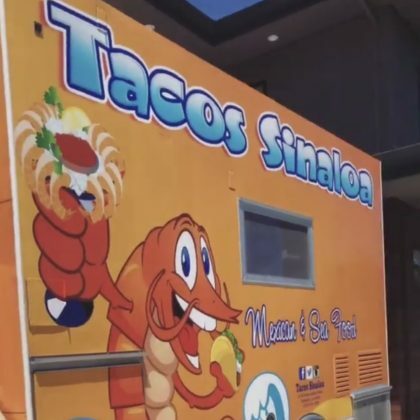 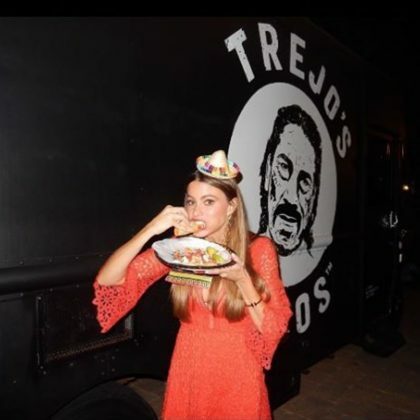 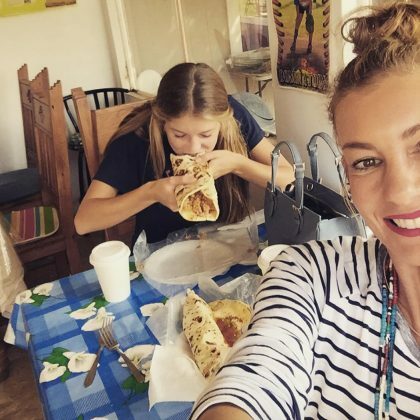 Sofia Vergara﻿ bit into “Tacos of course” thanks to Trejo’s Tacos, Mid-Wilshire District, which catered son Manolo’s 25th birthday party in September 2016. 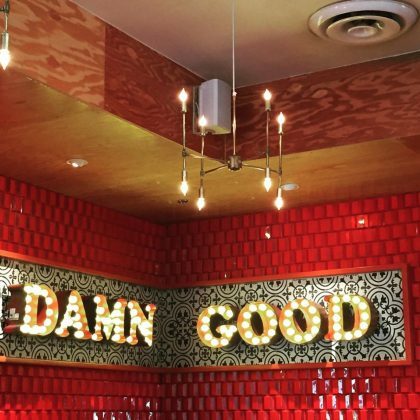 Martina McBride photographed the “DAMN GOOD” sign at Torchy’s Tacos, Round Rock to describe how good the food was there in August 2016. 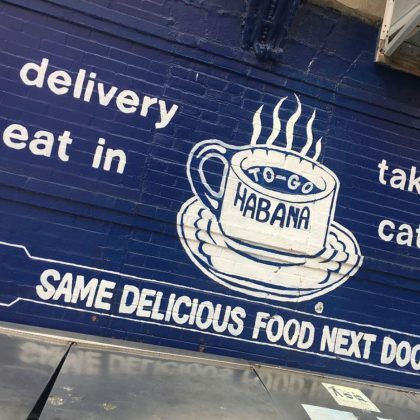 Wilmer Valderrama said in July 2016, “I wasn’t in NYC if I didn’t” get food from Café Habana, New York. 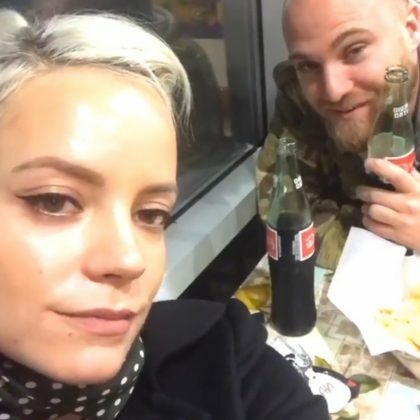 Taryn Manning met up with friends for some “Mexican foo [sic]” at an El Compadre in June 2016. 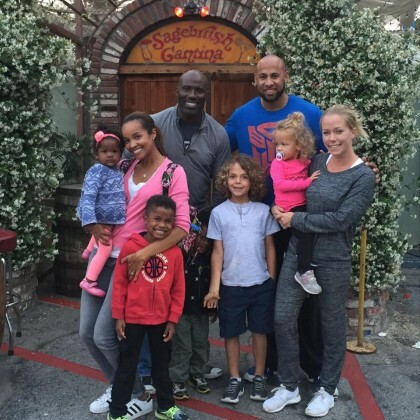 Kendra Wilkinson-Baskett, said she “Couldn’t have asked for a better Mother’s Day” in May 2016, after doing dinner with ﻿Hank Baskett﻿, their kids, and some friends at Sagebrush Cantina. 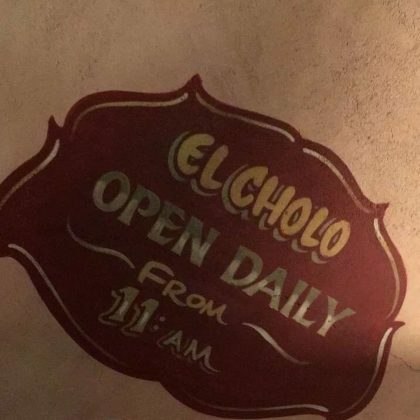 Ashley Benson﻿ checked in to Cielito Restaurant during an April 2016 “Weekend getaway” with a friend. 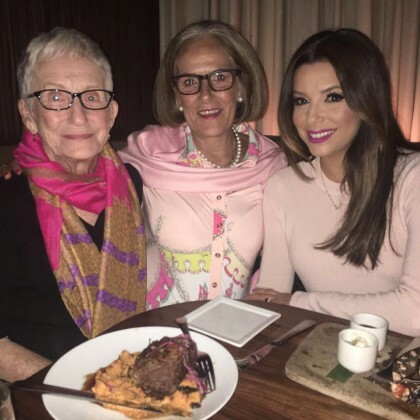 Owner Eva Longoria was back at Beso Restaurant in April 2016. 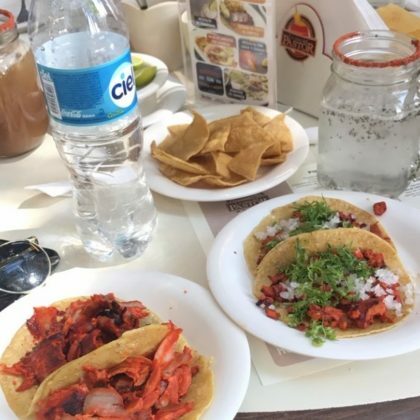 “It’s a taco party over here” is what Kieran Shipka called her April 2016 meal at Colonia Tacos Guisados. 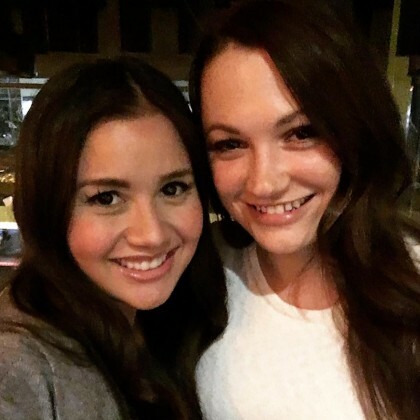 Catherine Giudici﻿ celebrated a friend’s engagement at Cactus South Lake Union in March 2016. 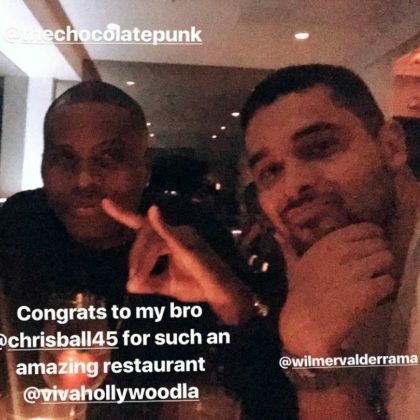 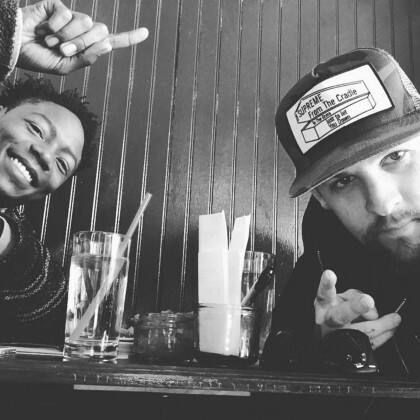 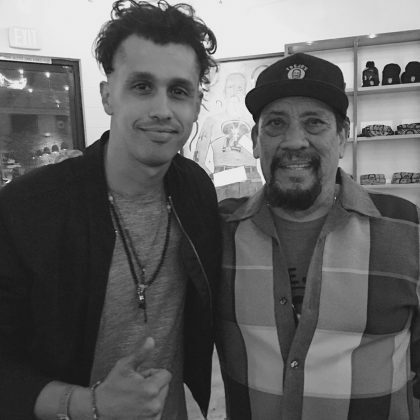 Joel Madden “Got to spend some time with my friend” at Escuela Taqueria in March 2016. 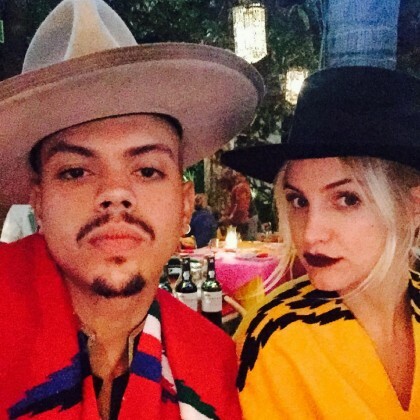 “We love #cabo” is what Evan Ross said when he did dinner with Ashlee Simpson at Restaurant Pancho’s in January 2016. 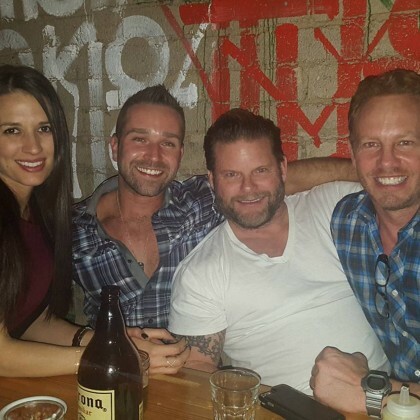 Ian Ziering did “Date night” at Petty Cash in January 2016. 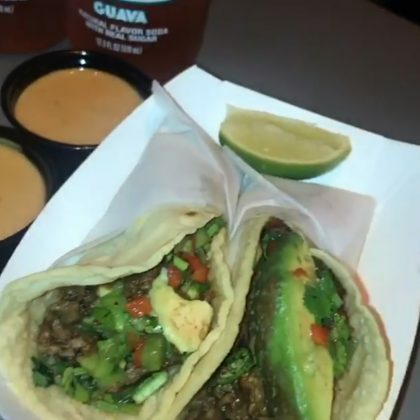 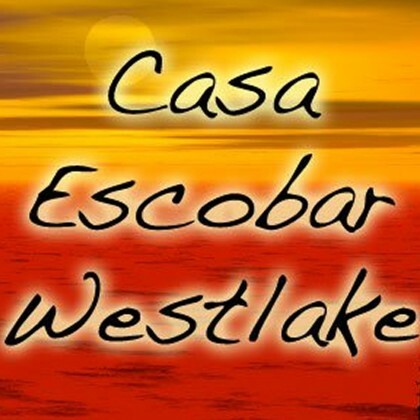 Kim Kardashian, Kourtney Kardashian, and Khloe Kardashian shared some chips and guacamole escobar ($8) at Casa Escobar while filming season 10 of Keeping Up with the Kardashians. 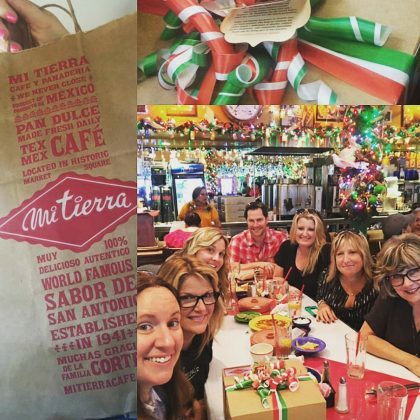 Martina McBride ordered tortilla soup for “Lunch with my old pal” at “fine eating establishment” Mas Tacos Por Favor in September 2015. 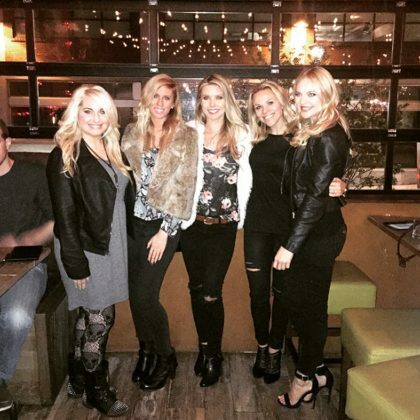 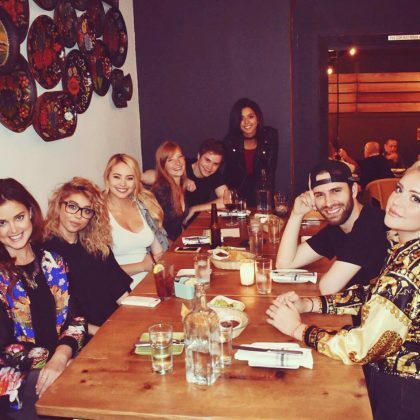 Stephanie Pratt checked in to Crazy Homies with a group of friends in August 2015. 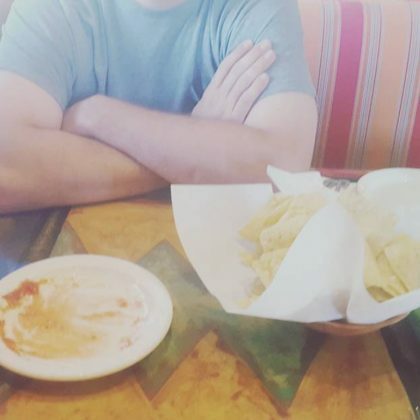 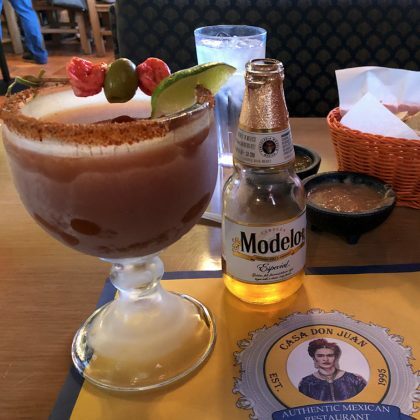 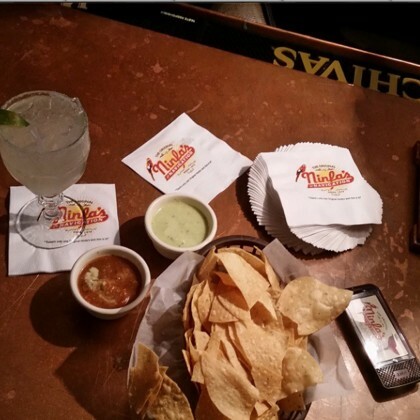 Busy Philipps shared a shot of a “fully satisfied dinner table” in June 2015 and said, “All I ever want for my birthday dinner is margs and chips and salsa” and Minero “was seriously the best!” — a margarita here runs $9 and chips and salsas are just $4. 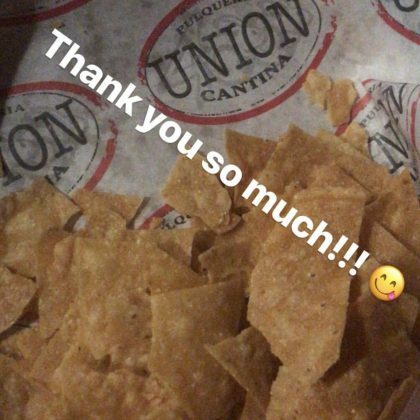 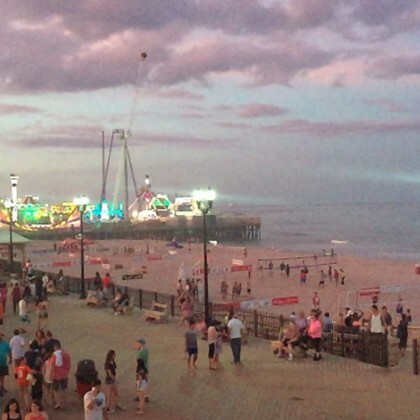 Allison Williams﻿ enjoyed “Some table side guac and a beautiful view of the Seaside Heights boardwalk at Spicy Cantina” in June 2015. 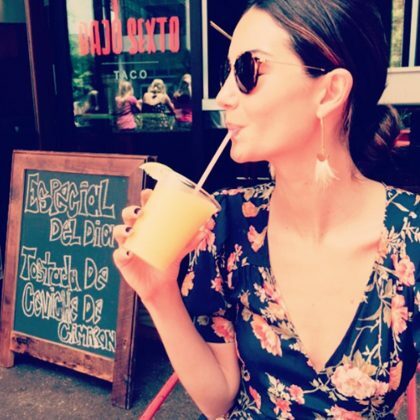 Lily Aldridge said “Cheers! 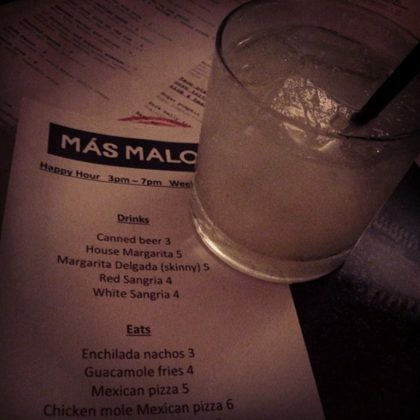 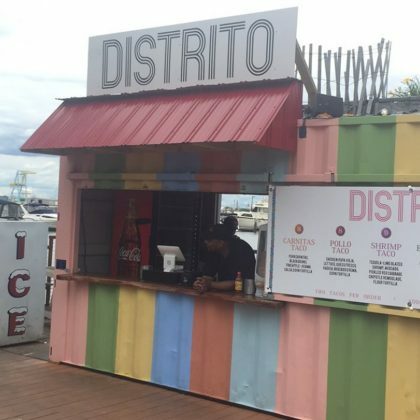 !” as she sipped a drink at Bajo Sexto Taco during May 2015’s Music City Food + Wine Festival. 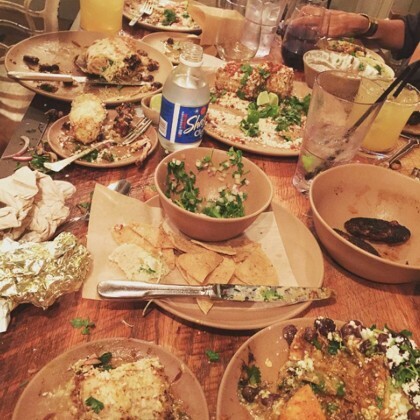 Audrina Patridge﻿ enjoyed a “Fun dinner . 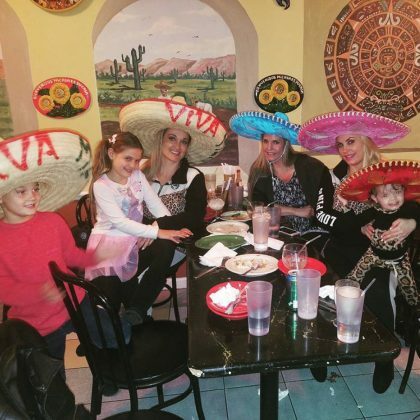 . . with the girlies” at Saint Añejo in March 2015. 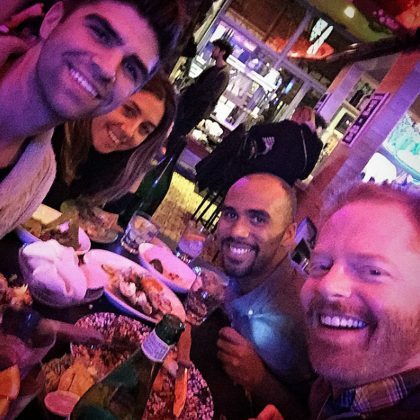 Jesse Tyler Ferguson said he was “Deliciously stuffed” after eating at Mission Cantina with Justin Mikita and friends in March 2015. 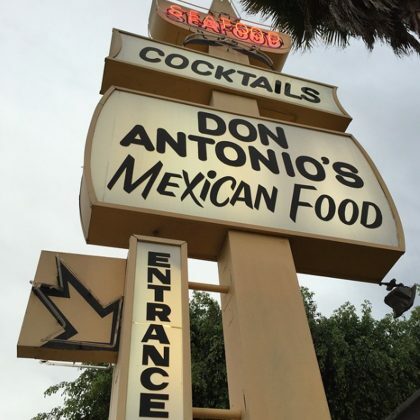 Spencer Pratt﻿ seemed excited about the “99cent taco night” at Don Antonio’s in March 2015. 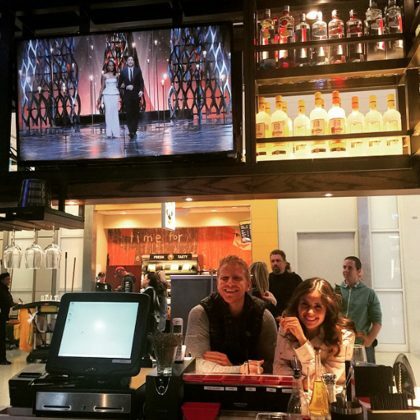 Catherine Giudici said, “Ain’t Nothin But An Oscar Paaaarrrty” when she was watching the award show on a television at Wild Bleu Martini Bar inside Dallas/Fort Worth International Airport in February 2015. 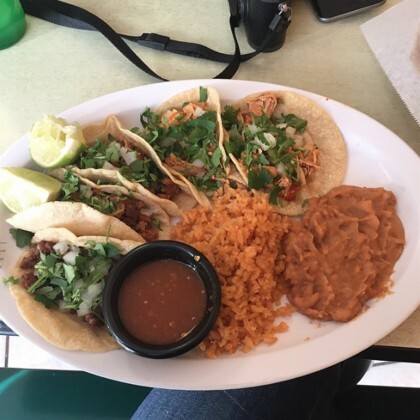 Lily Allen did “#tacothursday” with a side of beans and rice at Los Equipales in January 2015. 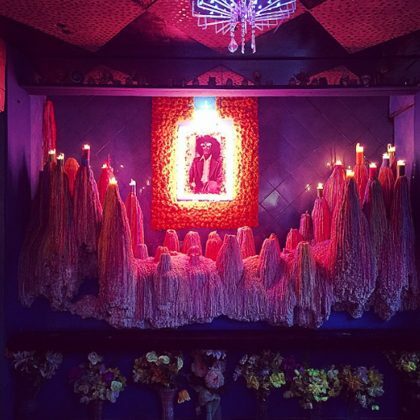 Shay Mitchell called Motel Mexicola the “Coolest restaurant ever” when she “#stuffed” herself with a “So so good” meal here in January 2015. 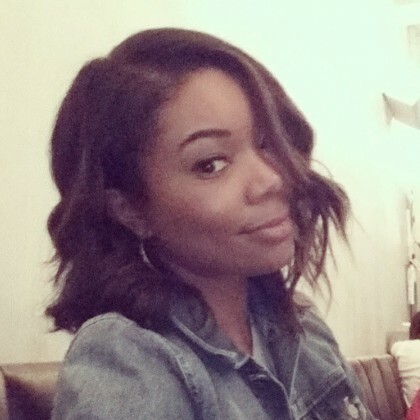 “Yessssss” is what came out of Gabrielle Union when she ate here in January 2015. 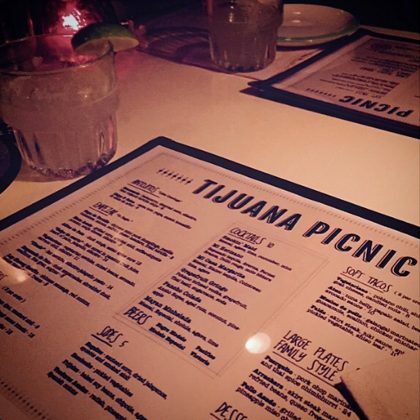 Jessica Lowndes posted the worship emoji when she checked in to Tijuana Picnic in December 2014. 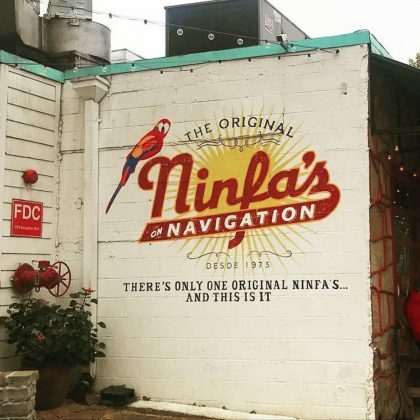 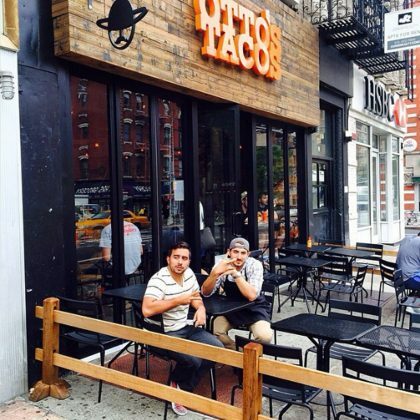 Nina Dobrev went to Otto’s Tacos with her best guy friend in November 2014. 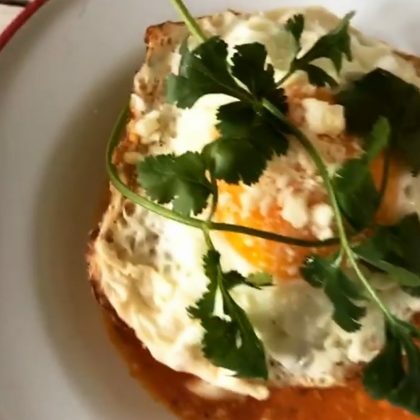 Jessica Alba and her daughters were all about that “#brunchlife w our #nyc fan” when they went to Fonda in September 2014. 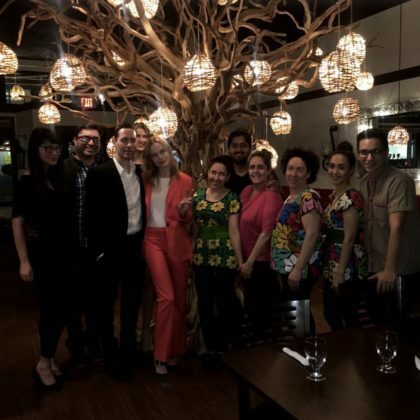 Nicole Richie﻿ celebrated a friend’s birthday with margaritas at Lula Cocina Mexicana while filming an episode of ﻿Candidly Nicole﻿ season one that aired in August 2014. 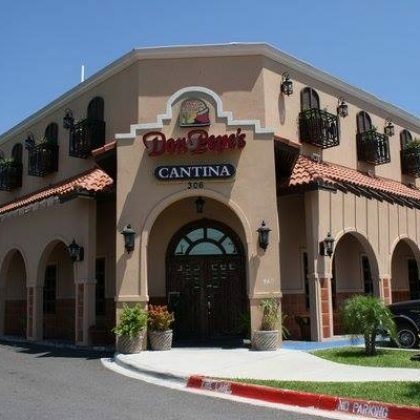 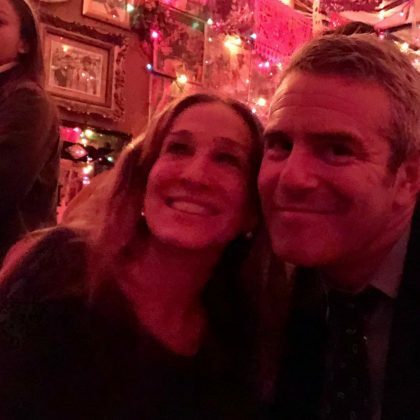 “Let the games begin,” Sarah Jessica Parker joked as she started her August 2014 meal here with chips, salsa, and a margarita. 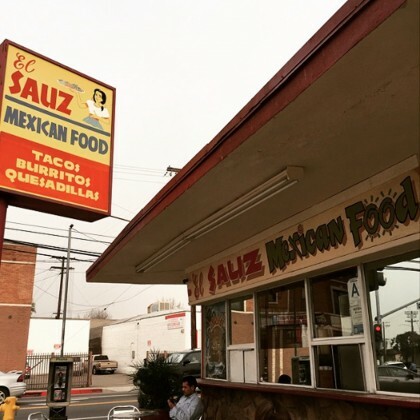 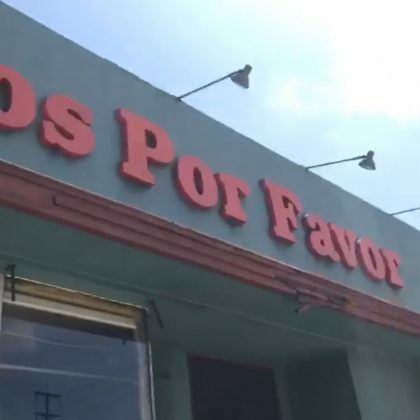 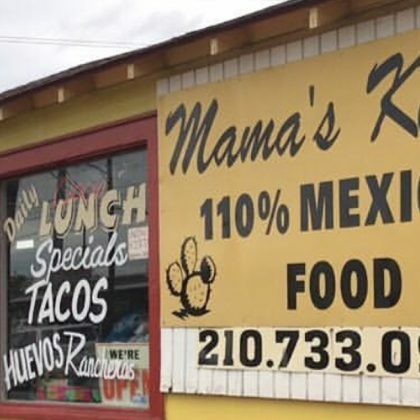 Justin Bieber and Selena Gomez grabbed breakfast at this Mexican food establishment in March 2014 — the Biebs reportedly ordered the Huevos Rancheros. 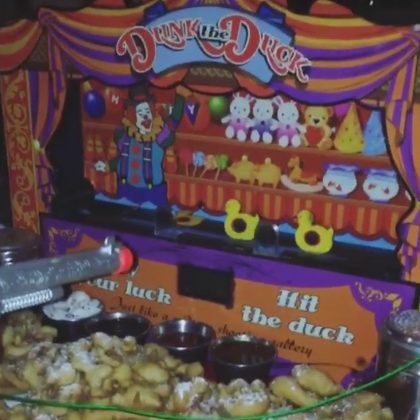 Kristen Stewart and Robert Pattinson rang in 2013 by dining here on New Year’s Eve — they even posed for a picture with their waitress, who said they were both very nice.